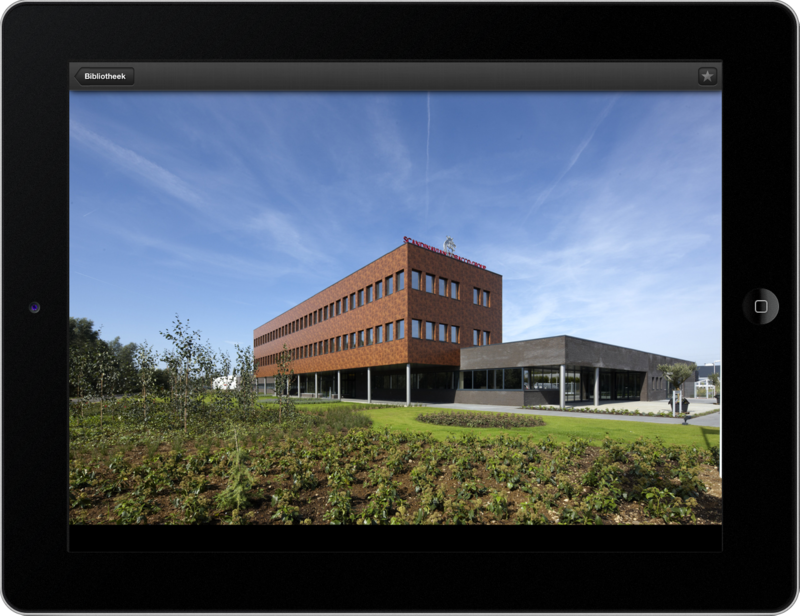 Leave your brochures at home: all you need is your iPad. With Luan your sales reps can show your products quickly and easily. With a simple tap you can filter out the right picture, PDF or video in a second. 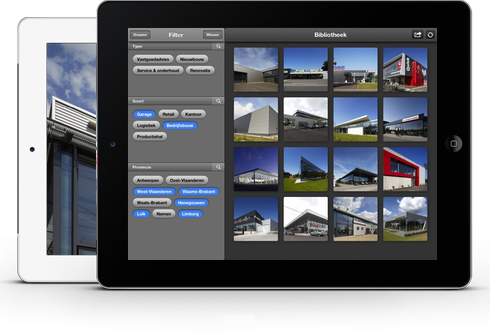 Your sales tool on iPad. With Luan your sales reps can show your products quickly and easily. With a simple tap you can filter out the right picture, PDF or video in a second. You can swipe through fullscreen images and documents with amazing quality. With our custom backend you can upload and tag your files. After syncing you always have your most up to date catalogue at hand, everywhere you go. Even without an Internet connection you let your products speak for themselves. In the back end you can upload your product photos, PDFs and videos and assign the appropriate tags. A photo, PDF or video can belong into multiple categories and therefore have several tags. One tap on the sync button and all your sales reps carry around the latest files of your products on their iPad, all the time. After syncing the app works offline too, your files are always available, everywhere. A tap on a filter shows immediately just the photos, PDFs and videos with that tag. 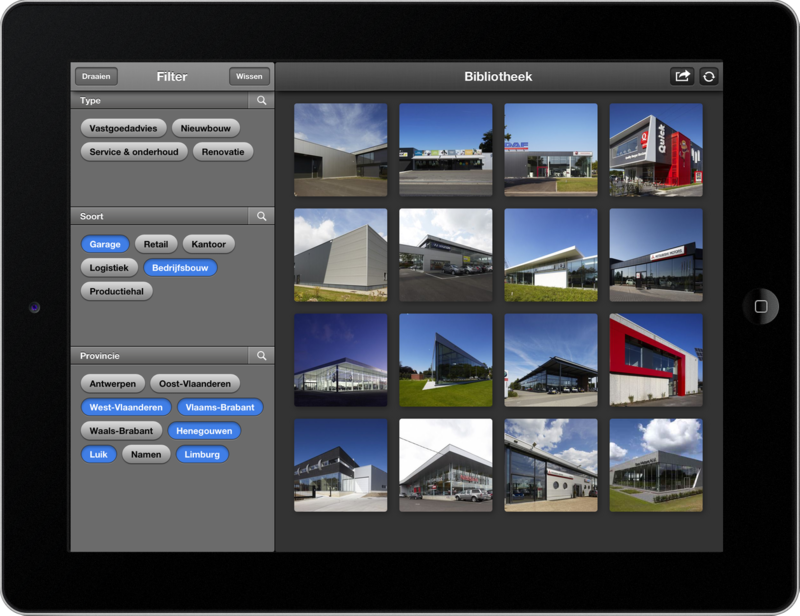 By combining multiple filters you’ll refine your search in the blink of an eye. After tapping on a thumbnail the app uses the whole screen to show your product. You swipe quickly back and forth or go back to the overview easily. While talking with your customer, you mark the interesting pictures. After the meeting, you mail these pictures to your customer for his reference. The max file size for a picture/pdf/video is 10MB. All our prices are exclusive of VAT.